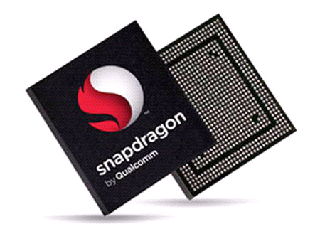 Qulacomm's answer to Nvidia's Tegra2zone is now available in the android market. "Snapdragon GameCommand™ makes it easy for you to discover and manage new games. So many games, so little time! Snapdragon GameCommand™ makes it easy for you to discover, manage, and download the best new games for your Android devices. Read descriptions, view screen shots, and watch trailers for featured games in the Snapdragon™ GamePack. With a single click, you can go directly to the Android Market or developer's website to buy or download the games directly. If your phone or tablet is powered by a Qualcomm Snapdragon processor (and most are), you'll even get exclusive features in some games, including some exclusive titles, including Desert Winds, the great new action adventure mini game featuring console-quality graphics made possible by Snapdragon's Adreno GPU. Snapdragon GameCommand not only provides a way to quickly find, learn about, and buy the latest Snapdragon featured and exclusive games, it also provides a place to organize and launch all your favorite games from one place. You also get the latest gaming news from some of the most popular gaming news sites from the built-in news reader in Snapdragon GameCommand. Snapdragon GameCommand and Desert Winds are both free of charge from Qualcomm, visit us at http://gaming.qualcomm.com"